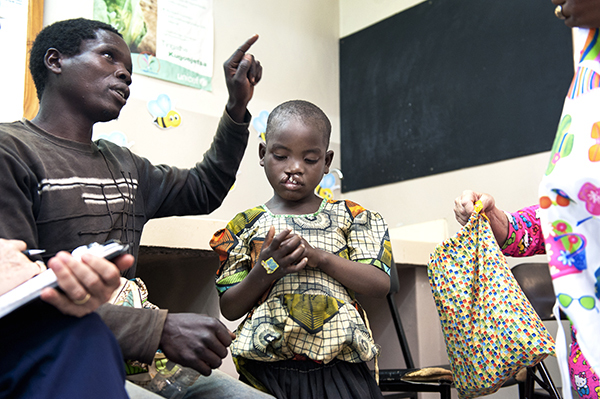 While Mtengeni did face some challenges caring for his daughter because of her cleft, he was extremely grateful that the members of their small Malawian village were accepting of Georgina’s condition. However, children from neighbuoring villages often mocked Georgina. Even her own friends would occasionally call her names. Mtengeni tried to comfort and support his daughter the best that he could, but he felt distressed that he could not do more to help his sweet Georgina. After Georgina’s birth, Mtengeni had been told that his daughter’s condition could be corrected with surgery. However, this type of care was far beyond what Georgina’s parents would ever be able to afford. Mtengeni and his wife are subsistence farmers and their family lives off of the food they are able to grow in their garden. Whenever Bernadette is able to get work as a laborer outside their farm, she earns less than £0.80. Mtengeni had no idea how he would ever be able to get Georgina the surgery that she needed, but he never gave up hope that he would find a way to help her. After five years of anticipation, Mtengeni finally received the news he had been waiting on for so long — free surgery through Operation Smile was available in the capital for people with Georgina’s condition. A lack of funds for transportation, however, still posed a problem for Mtengeni. Although he wasn’t sure if doctors would be able to fix Georgina’s cleft lip, Mtengeni knew this medical mission was his daughter’s best shot at receiving the care she needed. Mtengeni immediately went to all of his friends and neighbors and begged them to lend him money for the bus fare to Lilongwe. It took several days and a significant amount of effort, but Mtengeni was eventually able to secure the funds he needed to purchase bus tickets for himself and Georgina. However, by the time Mtengeni and his daughter reached the Operation Smile medical mission site, the patient screening process had ended and surgery had already begun. Mtengeni was sure that they had missed out on his daughter’s one chance to receive surgery. When Operation Smile medical volunteers agreed to give Georgina a medical evaluation and approved her for surgery, Mtengeni was overcome with happiness. He could not believe his daughter would receive surgery that same day! 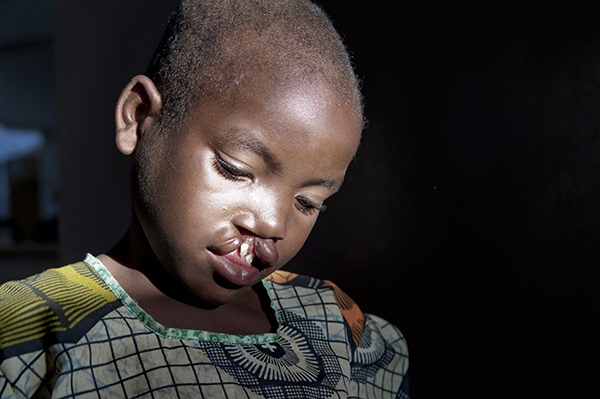 That evening, Mtengeni and Georgina were able to celebrate the success of her surgery and marvel at her repaired lip. 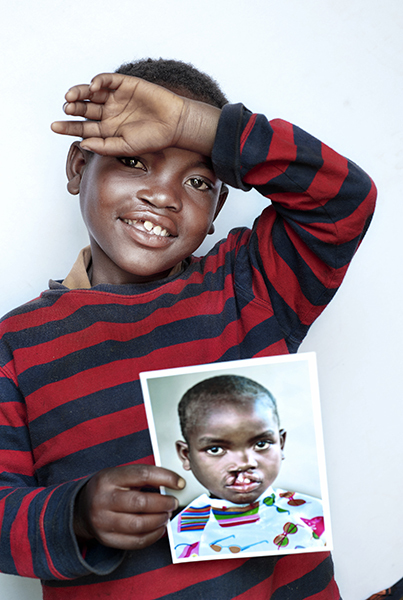 While Mtengeni was extremely appreciative of all that Operation Smile had done for Georgina, he was eager to return home and give his daughter the opportunity to show off her new smile. 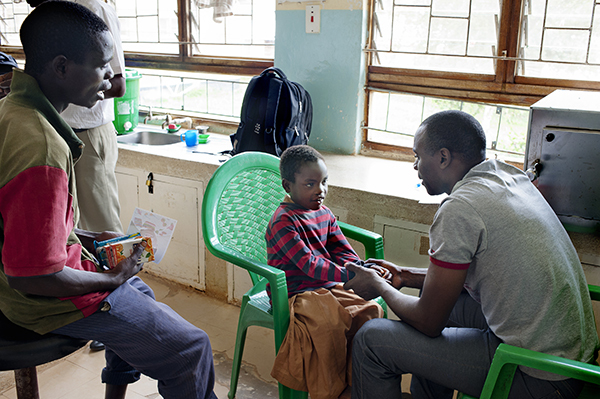 Even after Georgina's lip healed, Mtengeni continued to prioritise his daughter's cleft care. The nearest district hospital was three hours away by bus, but Mtengeni always managed to find a way to bring Georgina for her follow-up appointments, helping to ensure that her new smile stays healthy and beautiful throughout her lifetime. 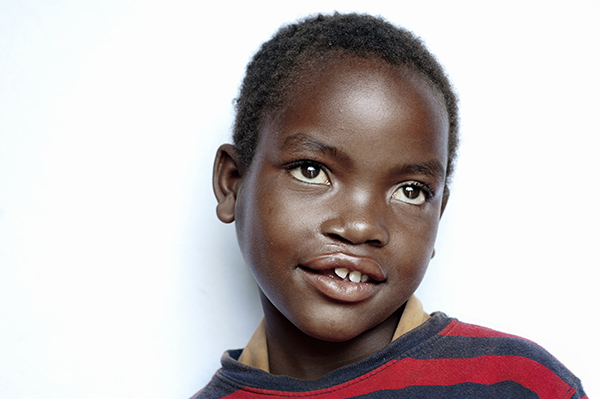 Since her surgery, Mtengeni has seen a transformation in Georgina’s disposition. Mtengeni shared that Georgina is happier and much more confident now that her cleft has been corrected. He also noted that people are better able to understand what she is saying, and because of this, Georgina has become much more talkative, constantly chatting up everyone she meets. 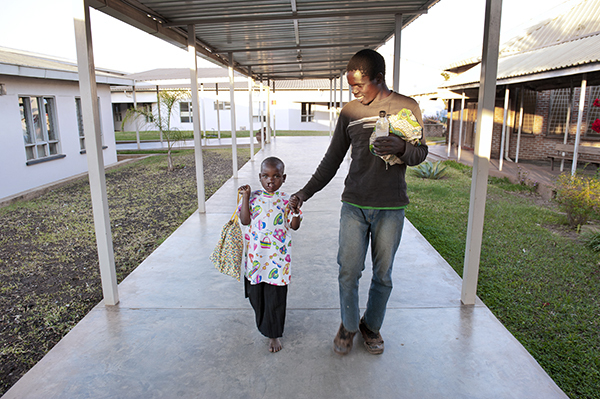 But Mtengeni doesn’t mind — he’s happy to have found a way to help his daughter access life-changing surgical care!